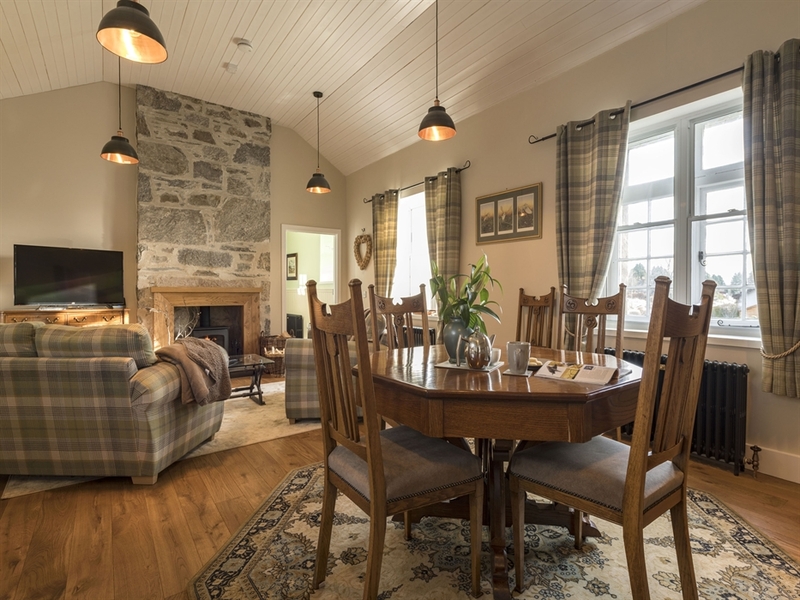 Evelix is an old schoolhouse that has been given a new lease of life as a luxurious holiday home. 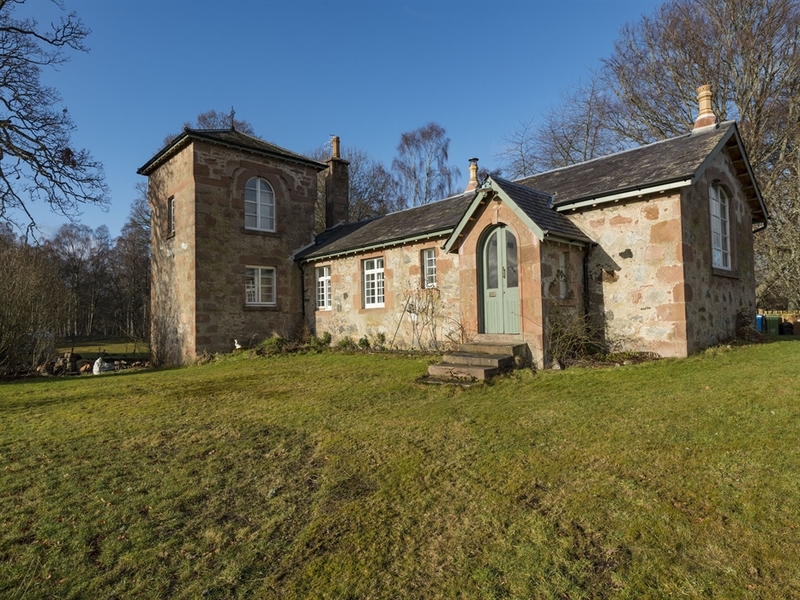 Located in the village Muir of Ord, which is just 13 miles from the Highland capital of Inverness, the property sits by the road with a good acre of beautiful wild garden within the grounds. 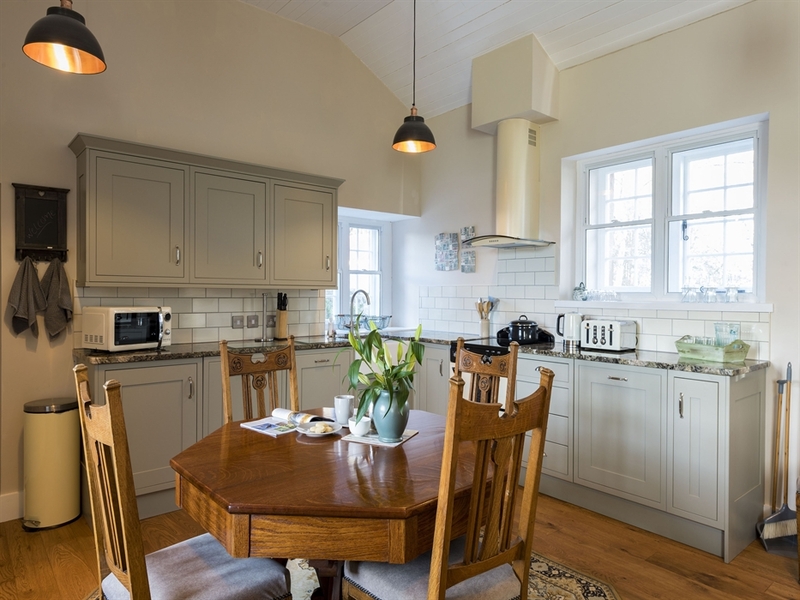 The school house has been sympathetically restored to retain the character this building once had, with feature pieces including a gorgeous antique double bed and an old wooden school desk. 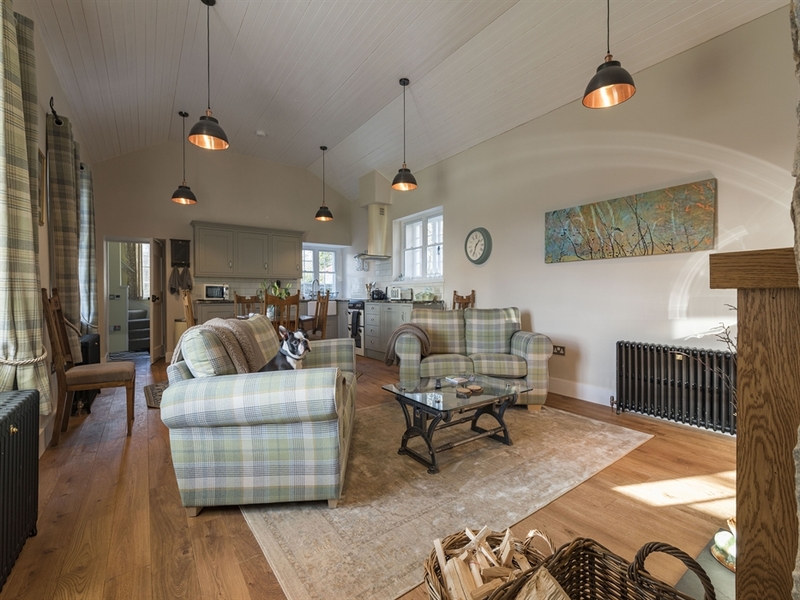 The main living area is open plan, with sage green walls, oak floors and a high ceiling. The dining table is octagonal in shape (another antique!) and comfortably seats 4. 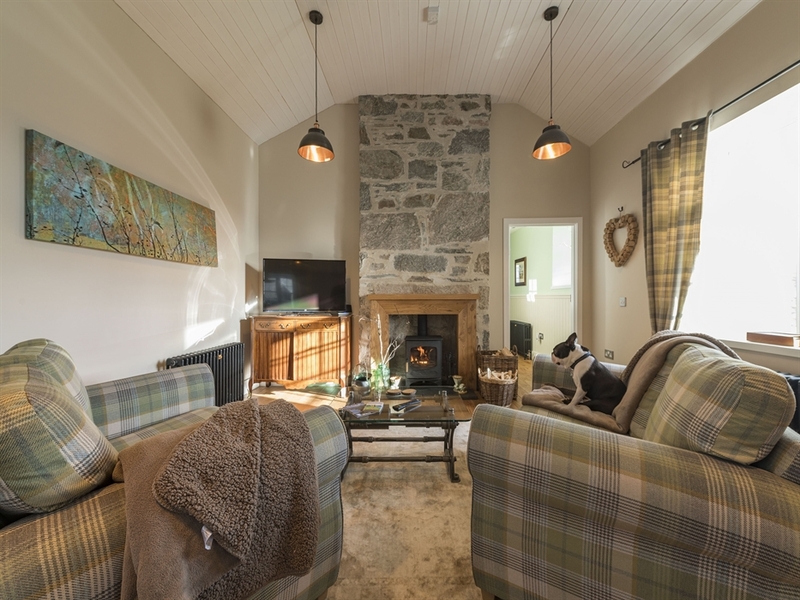 There is also the added bonus of a woodburning stove in this room, so cosy up and enjoy a night in front of the fire with your favourite tipple in hand. 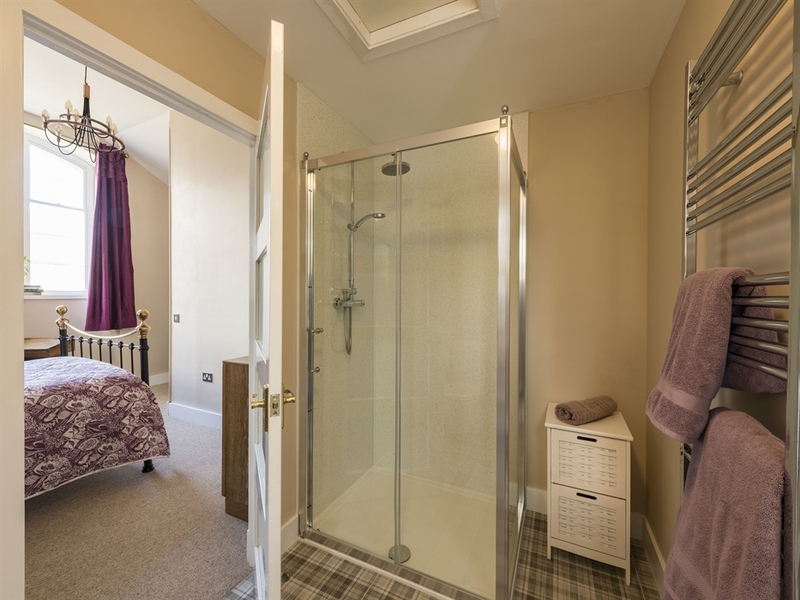 The master bedroom on the ground floor has been tastefully decorated and furnished to tie in with the rest of the house, and off this room is a modern, ensuite shower room with quirky tartan floor tiles. 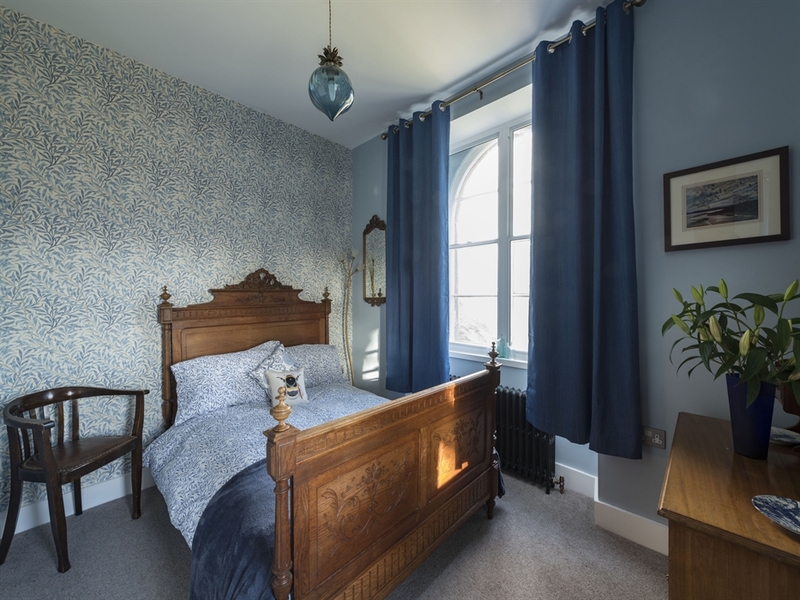 The bedroom upstairs feels almost regal with royal blues and the antique double bed. 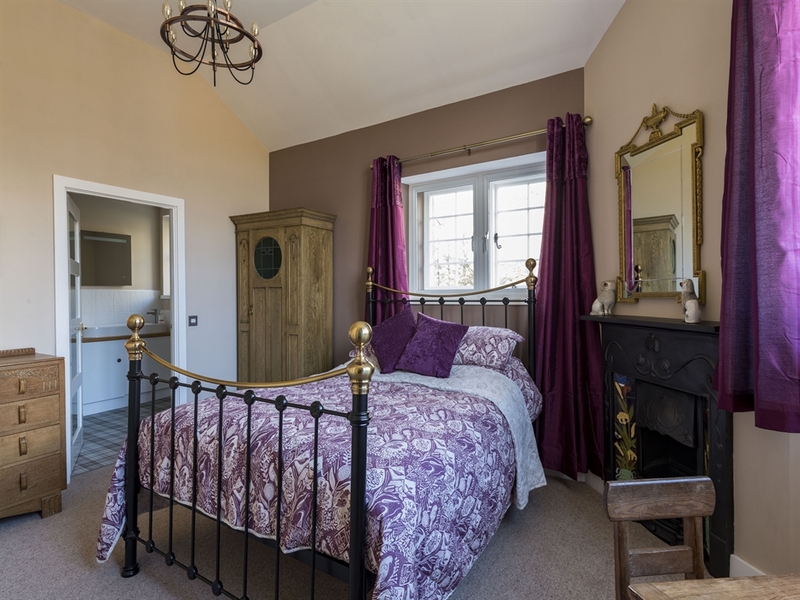 Both bedrooms have feature ‘art deco’ fireplaces which add to the charm of this house. 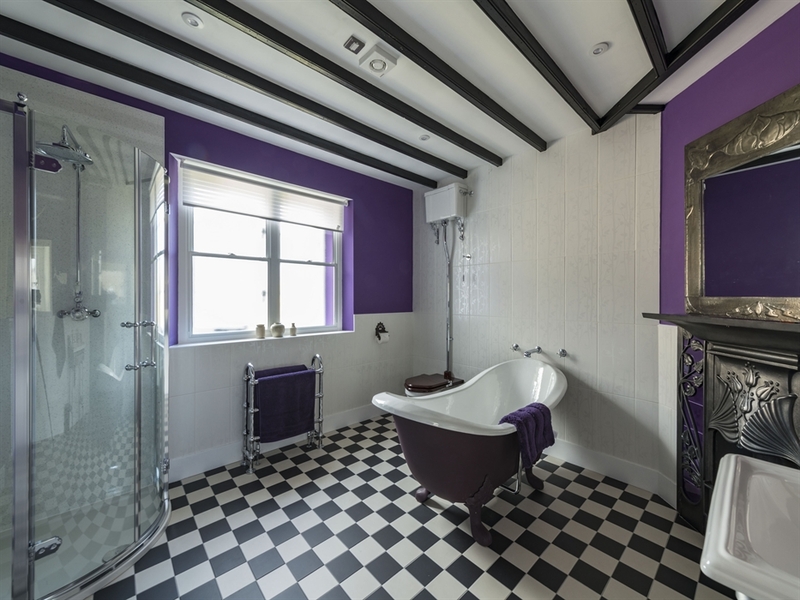 Downstairs, the family bathroom is extremely spacious and contains a deep purple freestanding bath as the focal point of the room, as well as a separate shower cubicle. As is the theme throughout the property, there are little finishing touches of items from the past, and in here there is a vintage washboard hanging on the wall. Outside, there is a small patio which is perfect for warm summer evenings, and an unfenced burn that runs through the enclosed garden, so children and pets must be supervised at all times.